The Bling Ring is a biting satire on our obsession with celebrity culture, so let’s test your knowledge of the stars. Which previous star of a Sofia Coppola flick is spotted by the members of the Bling Ring in an LA hotspot? Need a hint? Watch the trailer below! Email your answer to contests@cinemablographer.com with the subject Bling. Contest closes Tuesday, June 18 at noon. Screening takes place Wednesday, June 19 at the Coliseum (3090 Carling Ave.) at 7:00pm. 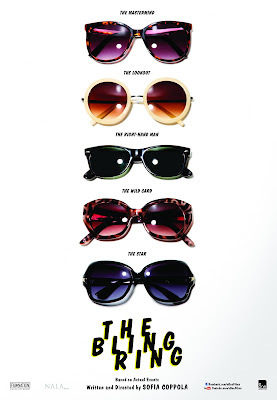 The Bling Ring opens in Ottawa June 21 from eOne Films.